Officials in northern Israel urged residents to continue with their regular daily routines, despite the increased tensions in the area. 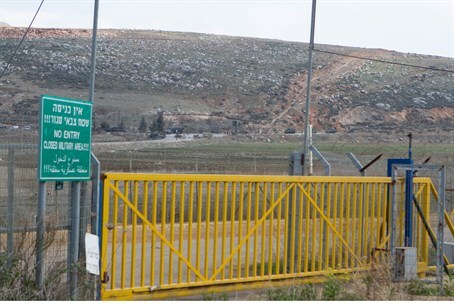 Security was sharply upgraded in the region on Monday, after Israel Air Force planes eliminated a delegation of Hezbollah terrorists on the Syrian side of the Golan Heights. Among those eliminated were Jihad Mughniyeh, son of arch-terrorist Imad Mughniyeh and said to be Hezbollah's “commander of the Golan Heights area,” and Iranian general Abu Ali Tabtabai. Roads in the area of the Israel-Lebanon border have been closed, and on Tuesday tanks and armored personnel carriers were deployed along the northern border. Lebanese media outlets are reporting Israeli jets and helicopters over the Har Dov area along the Lebanese border. Police and security forces are on alert in other parts of the country as well. Tel Aviv has a significantly increased police presence in the wake of the stabbing terror attack earlier Wednesday. Police are being deployed in large numbers at sites throughout the Tel Aviv area, especially where large numbers of people pass through or gather, as well as at other sensitive sites. Police and security forces are also carefully monitoring the situation in Rahat and other Bedouin towns, as residents continue to blame police for the death of Sami al-Jaar, a Rahat resident who was shot and killed during a drug raid. Bedouin threw rocks, bricks and explosives at police, claiming that police were “inciting” riots by their presence. Police released footage Tuesday showing mobs of Arabs attempting to break the windows of a police car, with the five officers inside in danger of being lynched, a police spokesperson said. Rioters on Tuesday launched a fusillade of rocks and Molotov cocktails targeting the officers in addition to the explosive. Four minors were arrested on suspicion of throwing rocks; one of them was wounded by the rocks they were throwing and required medical aid, after which he was brought in for investigation as well.